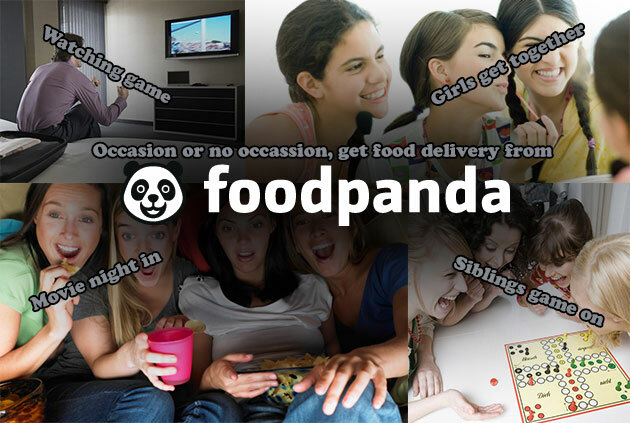 Foodpanda has online menus from the staggering selection of delivery restaurants around you. Simply enter your area and search for cuisine type, restaurants or even price. The restaurant index also includes address and delivery hours so you are never mislead. Can’t cook or won’t cook? Staying in the office for lunch? Tired of the same takeaways? Too lazy to dine out? It all comes down to wanting fresh piping hot food. Foodpanda is part of the Rocket Internet group: online food ordering service which is popular world wide and serves almost 40 countries in 4 continents. They are growing day by day and spreading in more countries. Their interacting web and mobile services makes it easy and hassle free to use for every one. The best part is that you can select food from your favorite restaurant to whom they have partnered. In Pakistan you can order from 1000+ restaurants in all big cities. The verity of restaurants let you select fast food, Chinese, desserts, Desi food, sandwiches and many more. Simply add your place browse the food option from listed restaurants. They have mentioned important details with restaurants like delivery charges, minimum spend and delivery time etc. Once you have selected your meal checkout with your required details and they will be at your door step in given time span. You can create your account for future reference so you don't have to add your details again. Ordering from food panda is very easy and hassle free. In 4 simple steps you can order your food which is search, choose, pay and Enjoy. Go to Foodpand.pk in Pakistan and Foodpanda.com in other countries here you can enter your city and place where you want to get delivery of your order. You will get the list of restaurants to choose from. At left side you have more options to filter restaurants or cuisines whether you need fast food, desserts, BBQ or healthy food and salad. Once you selected your favorite restaurant, you will see their respective menu which includes their latest deals, best sellers as well. 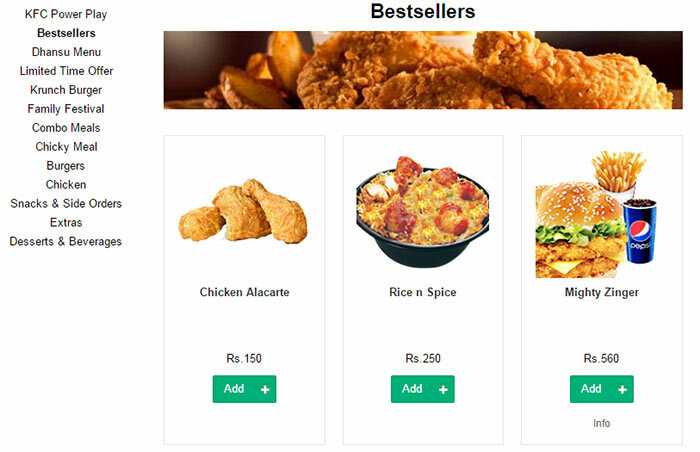 Select meal from menu and click the green add button and the selected food will appear at right side with total price and delivery time. Once you are done with selecting food, proceed to check out and enter your address and other details and place the order. Now you will be thinking about payment method so do not worry because they have the best method which is cash on delivery and you can pay online as well. Place your order and rest, the respective restaurant will deliver your food on your doorstep at given time and you pay them on delivery. The delivery charges, minimum delivery spend and packaging differs for restaurants as it is not foodpanda who delivers but act as middle person to provide convenience and access to the new places we did not try before. They provide you complete menu of restaurant and their charges so you can pick any place according to your desire and affordability. They have their mobile apps as well for more convenience to mobile users. You can download their apps from iTunes, Google play or windows phone store and order the food more easily from your smart phone. 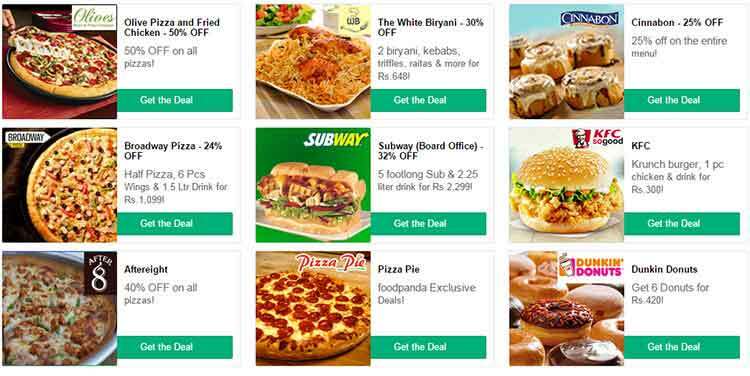 Foodpanda offer different deals time to time where you can avail great discounts. You can subscribe their newsletter or follow them on social media to stay updated with their latest delicious deals. Recently they are having up to 50% off on different restaurants for cricket fever festival. They also provide different vouchers and coupon offers very often. Overall foodpanda is great place to explore and full fill your cravings of food or bakery delicacies with many restaurants and verity. Either you are in home, office or any place just browse, select, order and pay on delivery. Follow them on social media and enjoy their latest delicious deals or limited time offers.